An SSL certificate ensures that the data passed through your website is safe and secure from hackers. The purpose of this is to keep you and your private information, such as credit card numbers, passwords, and email accounts, safe from cyber criminals. Not sure you have it? Quick way to check - type in your URL and look at what appears. If you see https, you have an SSL certificate and your website will not be flagged. If you only see http://, then it’s time to secure your website. 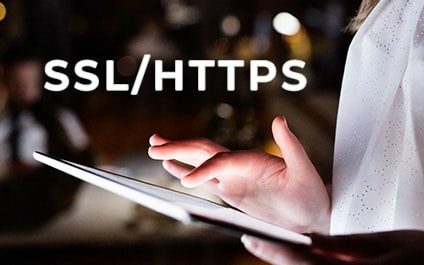 Google has deemed SSL certificates important because it shows the person visiting your website—a potential customer—can trust where they’re going. This trust is critical in today’s dangerous online world. If your website is flagged as insecure, it sends a dangerous signal to your customer. That website visitor will be distracted from your business and your message. Instead of browsing your website for more information, they’ll be more likely to hit the back button, worried that their information is at risk. You’ll lose the lead, making it harder to regain that trust and rebuild your reputation. An SSL certificate is even more critical if you accept payment over your website. For ecommerce businesses, an SSL certificate is non negotiable. Not having one can wreak havoc on your conversion rates. It’s important to note that for now, Google Chrome is the only web browser that’s flagging websites without an SSL certificate. Internet Explorer, Safari, and Firefox aren’t adopting this approach yet. Still, Google Chrome is by far the most popular web browser in the world with well over 50% of the market share. That means over half of your consumers are likely using Chrome to search your website. That also means that other web browsers are likely to follow suit as online threats increase. Getting an SSL-certificate isn’t expensive. 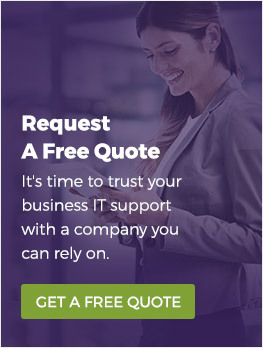 It can cost roughly around $70 per year, which is a small price to pay for protecting your business, your customer’s data, and your reputation. Talk to your hosting company to learn more. Most website hosts will offer these certificates and apply them to your site free of charge. Some hosts might even offer free SSL options. Have any other questions about how SSL certificates work or IT security in general? Reach out to learn more about this important certificate and how you can keep your business and customers more secure.